World Book Day, celebrated today, 7th March, has the declared aim: Our mission is to give every child and young person a book of their own. It is celebrated in the UK, although I have no idea whether this is an idea that has been taken up elsewhere, and would be interested to find out. Schools, in particular, seem to have embraced the idea, with children encouraged to attend classes dressed as their favourite book or literary character. Thus hundreds of Harry Potters and Willy Wonkas and Very Hungry Caterpillars march into schools across the country once each year. Which brings me to a marvellous project aimed at schools across the country. Growing, in a way, out of Robert Macfarlane’s brilliant book Landmarks is The Lost Words, a collaboration between Robert Macfarlane and artist Jackie Morris. I can do no better than to quote Jackie Morris on the reasons: It had come to the attention of some who work in the world of words that certain words were slipping out of common usage. As a result when it came to amend the junior dictionary for a new edition these words were gone… These words included bluebell, conker, heron, acorn and perhaps the one that cut the deepest for me, kingfisher. So The Lost Words is aimed towards children, to encourage them, through the words and paintings of the book, to discover the natural world that so many of them know nothing of. So many grow up today without any meaningful contact with the natural world, and this book aims to encourage them to know and to love and protect it. And the project – the campaign, really, in a very ad hoc way, is to raise money where necessary to place a copy of the book in every school in Britain. It has already been achieved in Scotland, I understand, and hopefully, it will soon be achieved in every other school in Britain. I had quite forgotten to post this. Whatever was I thinking of? If you look on the sidebar, you will espy a link to this book. It is a collection of short stories by members of my local writing group, The Irregular Writers Collective, including one by me. I was reminded of its existence at our meeting last night, when mention was made of a follow-up book this year. I’ve already submitted my story for this, and am looking forward to reading stories from the others. But in the meantime, Irregular Stories awaits your perusal! It is available in paperback on Amazon. And the link, again? It’s also here. In Masks and Other Stories From Colombia, Richard Crosfield brings us twenty five tales set in Colombia, the majority of them viewed through the privileged eyes of Printer, a British expatriate. Printer, we are told, has a good ear for a story, and is much in demand by hosts and hostesses at parties to recount these tales. He also has more empathy and sympathy for the Colombians who surround him than do most of the other cossetted expats. Naturally, this acts as a good device to introduce several of the stories. Some of the stories are little more than vignettes, bringing the reader into the lives led by the mixture of the very poor, the well-to-do middle class, and the extremely well-off and powerful of Colombian society, as well as the expats among whom Printer lives and works. These appear to do little more than illustrate what the lives of these people are like, yet at the end of each story something has changed; there has been resolution of some kind. Of the others, some demonstrate that you don’t always require an earth-shattering event to create a satisfactory ending, but just a quiet re-drawing of the landscape. Something has shifted, perhaps so subtly that not all the protagonists have even noticed. But we, the readers, see it clearly. Yet it is easy for the reader to become lulled into a false sense of security by this, so that we are caught out – shocked, perhaps – when we come to one of the stories that has a more powerful and emotional conclusion. The temptation when placing stories in a setting that is very different from the writer’s own setting, even when that writer has spent a good deal of time there – perhaps especially when that writer has spent a good deal of time there – is to either set all of them in the almost artificial world inhabited by the expat, or to try to set them in the wider community, a community that perhaps they may not completely understand. Richard has managed successfully to do both, something that demonstrates an easy familiarity with both these worlds. Throughout the book, we can see that the author’s sympathies lie very much with the underdogs of Colombian society, although the stories never become clichés of the noble poor versus the evil rich. They are told with too much intelligence and enough humour to escape that, and, perhaps above all, the writing itself is easy and a joy to read. Expect to encounter amateur cricketers and murderous bandits, whores and priests, street kids and artists. And a whole host of others. This is most certainly a five star read. My disclaimer – I received a copy of this book having beta read one of the stories for the author, although I was not asked to write a review. But my admiration for the stories and my pleasure reading them is entirely genuine. It’s been a difficult time. There’s been stuff. And we all know what stuff does, don’t we? Well? Don’t we? Yes, you at the back, boy! Tompkins Minor! Well, what does it do? That’s right, Tompkins. It gets in the way. Stuff getting in the way. Stuff not getting in the way. And with all this stuff flying around, stuff I’m finding it rather difficult to deal with, sometimes it’s as much as I can do just to leave a ‘like’ on a post. Even posting a comment seems too much like hard work, although I want to. So I press ‘like’ to simply show my appreciation of the post. But I’m working on it. I haven’t gone away, I’m just a little snowed under with…stuff. I have published one novel, Making Friends With the Crocodile, which is set in rural Northern India and is about the way society treats women there (and, by extension, in most places still). This has had good reviews, and I’m especially pleased with the ones from Indian women, who obviously know a thing or two about the subject! It is available as e-book as well as Print On Demand paperback. The first draft of my second novel, provisionally titled A Good Place, is completed and I shall begin to edit it at the end of February. 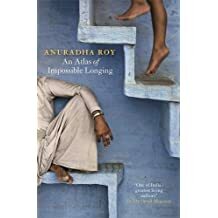 This story is set in a fictitious hill station in Northern India populated by a mixture of the English who remained in India after Partition, a few English travellers, and, naturally, the indigenous Indians there. In the meantime I am also working on another novel, the first in a series of 3 or 4, provisionally titled The Assassins Garden and set in both Persia and India in the 1600’s. This one I like to think of as being a mixture of ‘The Arabian Nights’ and Neil Gaiman. It starts innocuously enough, but rapidly becomes darker. The later books will also have elements of Gothic fiction and Victorian Detective stories in them. Possibly rather ambitious, I admit, but I have already written quite a large proportion of several of them. I also write short stories and occasional poetry. At least, I call it occasional, but I do seem to be writing more of it than I used to. And then I paint. I try to sell some of these through my shop on Etsy, although in the past I used to exhibit regularly at exhibitions and in various galleries (and sold quite well!). Perhaps I should investigate that route again. There are links to Etsy and to my books on the sidebar, if you wish to go and have a gander. And, when I can, I travel. Preferably with my wife. India and Nepal are favourite destinations, but so too are places closer to home in the UK, especially long-distance walks. But, that’s enough about me for the moment. Possibly a little more next time. Late in the year 1327 Brother William of Baskerville, a Franciscan monk, and Adso, a Benedictine novice, arrive at a monastery in Northern Italy. Winter is rapidly approaching, and so is both a legation led by a notorious inquisitor and another that contains that inquisitor’s implacable enemies. William is to speak in intercession between them. But once they arrive at the monastery, a series of brutal murders begins, and, at the request of the Abbot, William and Adso are drawn into the investigation. Every detective story needs a detective, and in The Name of the Rose it is William of Baskerville, who indeed uses logic and observation to make deductions, much like a medieval Sherlock Holmes. As the plot develops, there are long theological debates centred around both the poverty of Christ and the question of whether Christ laughed. Questions I have little knowledge of, but which read as authentic to me. But these debates are central to the plot. On the interpretation of Christ’s poverty alone, men and women are accused of heresy and burnt at the stake. But everything is centred upon the monastery’s library. This library is the greatest library of its time in Europe, containing innumerable rare, important and beautiful volumes. At the centre of the story lies a mysterious and forbidden book, and this book lies at the centre of the labyrinthine library where only the Librarian and his assistant are permitted. But are the murders being committed to get hold of this book or is there another reason? Could they, in fact, be connected with the predictions in the Book of Revelations? This is such a well-known book that I found I forgot it was a translation from the original I was reading. Much like the Bible, of course, which point is salient to the monks, and certainly in medieval times this interpretation was a matter of life or death to thousands. As a long book, it provides a canvas for long descriptions, both of the abbey and the associated buildings – essentially a castle – and of the long debates between the monks and the other players. At times there is undoubtedly a temptation to skip some of these, but the reader is adequately rewarded for persevering in that the descriptions paint a powerful picture of the place and time, while the debates tell much about the importance of religion and the ridiculous interpretations of every word of the Bible that quite literally governed the lives and deaths of everyone at that time. A word about the pace of the book, though. Some readers may find it a little slow (although if those readers skip the debates and longer descriptions it is as fast-paced as any other), but remember it is not just a detective story, it is also a historical novel and moves at the pace one would expect of a book of that genre. I read this a very long time ago, and although I remember it as having been a very good book, I had forgotten just how good. I will unhesitatingly give it five stars. After my previous post, it seems entirely apt to post a review, today. Writers rely upon reviews to sell books. To spread the word. And I am conscious how bad I am at leaving reviews – mainly because I’m not very good at writing them. But I Shall Try To Do Better! To start with, this is the review I left on Goodreads some time ago for a book that is already very well-known. This book begins, then, full of rich, playful language as it sets the scene and gradually introduces the players. It is spring, moonless night in the small town, starless and bible-black, the cobblestreets silent and the hunched, courters’ -and -rabbits’ wood limping invisible down to the sloeblack, slow, black, crowblack, fishingboat-bobbing sea. The houses are blind as moles (though moles see fine to-night in the snouting, velvet dingles) or blind as Captain Cat there in the muffled middle by the pump and the town clock, the shops in mourning, the Welfare Hall in widows’ weeds. And all the people of the lulled and dumbfounded town are sleeping now. I have heard poems by Dylan Thomas read by Richard Burton – the actor, not the nineteenth century explorer – and his warm, mesmeric, lilting tone suits the poetry like no other voice I could imagine. Now, I cannot read any Dylan Thomas without hearing it read in his voice. So, to the poem, or play, if you will, for it is a play, first and foremost, told as a prose poem. The play is full of wonderful voices, the voices of a plethora of small-town characters; all of them realistically drawn with their dreams and vices and foibles, and depicted with great humour, but also with sadness. Sadness, for there is resolution for most of the characters, and for some their dreams come true, but others are disappointed. All of these characters love and hate and desire each other, they reminisce, they have ambitions. In this play, they all have their day. In this place, each one gets to tell their story, or have it told for them. From the very beginning, the language is rich like double cream and brandy butter; too rich, perhaps, for certainly by the time I had begun to near the end it had become too much. I found myself yearning for more plain, simple language. I wanted a few bread and water phrases. But the words invite you to savour them slowly – in fact, they demand it. Perhaps the secret, then, is to read this little and often; to dip into it and immerse yourself in the language. I really wanted to give this masterpiece four and half stars out of five, but without that option, I give it five, although with the caveat above. Okay, I know. The troll was under the bridge and it was the Billy Goats Gruff doing the trip-trapping. Where was I last post? Oh yes, poor quality self-published books. A little while ago a blogging friend of mine reviewed a self-published book on Goodreads, and gave it three stars out of five, on the basis that the book was full of editing errors. For this, she was then trolled by another member – not the author in question, but I suspect she was a friend of the author, although it is not impossible it was just someone out to cause trouble. This troll was furious that anyone would mark down a book for being poorly edited and poorly formatted. She then went on to personally attack the reviewer. I don’t know the outcome, but I certainly hope a complaint was made and the troll blocked from Goodreads. I wonder, have we really got to a point where it is considered perfectly acceptable to publish something of poor quality and no one is allowed to point out this fact? Is this another consequence of the self-publishing phenomenon coupled with many people’s unwillingness to tolerate any views other than their own? I never seriously contemplated abandoning my blog, although I admit there were times I felt tempted. And although I regularly visited my Facebook account, I didn’t post anything to my author page and only really visited to stay in contact with some people. My sharp-eyed viewer will notice a couple of new pages on this blog. There is now a page with links to all the short stories I have published, to make it easier to locate them should you wish to read or re-read them. There is also a page of links to all the poems published on here – I had no idea there were so many! There was a lot going on in my life and I needed a lot of space to just try and sort some of it out. Some of it is still on-going, but I think I’m in a position to come back and give a reasonable amount of time to blogging. But, as well as doing life, I have been busy writing. Probably the main thing I have managed to do is take my stop-start novel set in a fictitious hill station in Northern India from around 35,000 words up to the point where it is an almost completed first draft of just over 70,000 words. And I have a working title for it: A Good Place. I’ve half-written a few blog posts, although I had intended to prepare lots more. Oh well. For the moment I will go back to posting roughly twice a week and see how that goes. And I don’t think until now I’d really understood how absolutely driven it was possible to be when writing; how the Work In Progress can come to utterly dominate your waking life – incessantly thinking about it and tweaking and refining the plots and characters, almost to the exclusion of all else. Clearly, I need to get it finished.